Easter (Goede Vrijdag, 1e and 2e Paasdag) take place this weekend and – yippee – mark the start in a long string of public holidays over the next couple of months. Well, Easter Monday is a public holiday but Friday is a normal working day, apart from for government workers, lucky things. 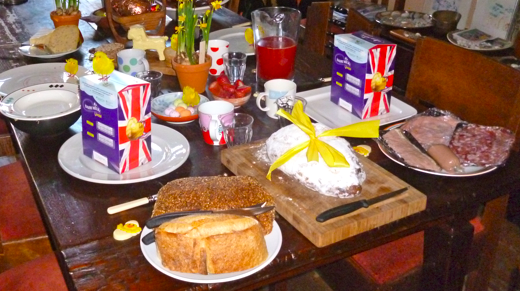 Here is our list of Dutch Easter habits. The Dutch also like to paint boiled eggs in pretty patterns. If you want to do this, be sure to buy a proper egg stand at Blokker or Intertoys so you can colour your egg without getting paint all over your fingers and the rest of the eggs in the box. Easter-egg painting is number 5 on the Dutch folklore centre’s list of the top 10 Dutch traditions. And according to the Dutch egg marketing board, we are going to eat 35 million eggs this weekend – not counting all the chocolate ones, that is. The Dutch flower industry has for 29 years supplied the 42,000 tulips which are sent to Rome to decorate St Peters for the pope’s Easter day appearance. 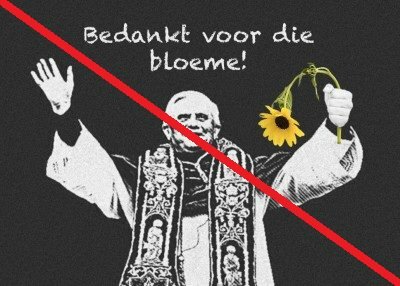 Every year the pope – where ever he comes from – says in his best Dutch ‘bedankt voor de bloemen’ – the highlight of the Dutch television news coverage. Last year, however, shock horror, the new pope Francis said it in Italian! And now there is talk that the Dutch may break the tradition next year – not because of the language issue – but because of spending cuts facing the Dutch flower marketing board. There are of course Easter markets, special Easter brunches at restaurants and Easter events at amusement parks. And there is the Paaspop festival which has taken place over the Easter weekend in the Noord-Brabant town of Schijndel since 1985. Paaspop, which attracts some 15,000 people, is seen as the unofficial start of the Dutch festival season. Many Dutch people seem to consider visiting an out-of-town retail park selling furniture to be a traditional Easter activity. Easter fires are lit in various parts of Europe and probably have pagan origins. In the Netherlands, most are found in Drenthe, Groningen, Overijssel, Twente, Friesland and Gelderland but there are all sorts of regional variations about what is burnt and when. 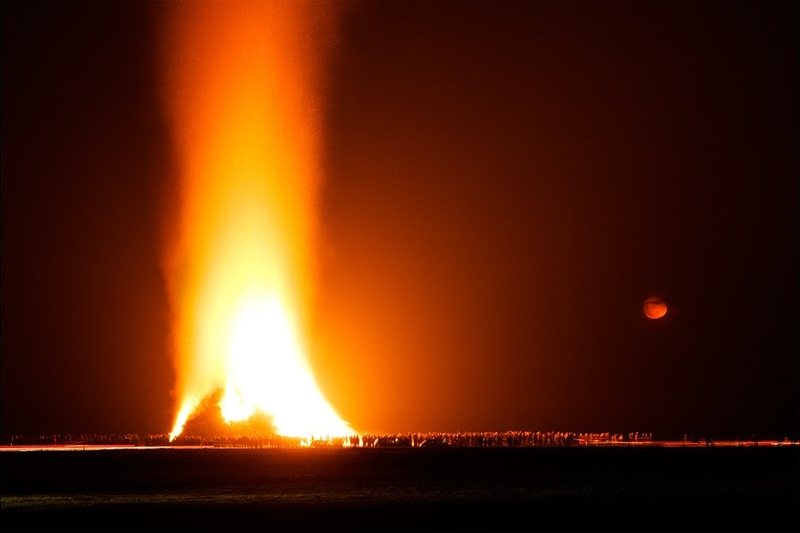 The village of Espelo in Overijssel has the world record for the highest hand-built Easter fire – 27 meters. Ie no cranes allowed. They’ve also gone for the crane-assisted record by building one 45.98 metres high in 2012. Pity about that extra two centimetres. This work by Johann Sebastian Bach is always performed at the Concertgebouw in Amsterdam on Good Friday (two sittings). It is the sort of thing which people say you should have done once in your life. Some people go every year. Okay, we’d never heard of this before, but it seems that in the Twente village of Ootmarsum, the good folk take part in a complicated ritual which involves much of the population winding through the village hand in hand, singing Easter songs. They also raise children up in the air which is said to represent the rising of Jesus from his tomb. We’d have to see this to believe it. Any other Easter rituals, however strange, please let us know. This entry was posted in Uncategorized on April 17, 2014 by europeansinthenetherlands. You forgot going to the Woonboulevard on second day of Easter! In de jaren 50 maakten we een Palmpasenstok. In the 80’s and 90’s they made Palmpasenstokken also on Catholic schools.